It is the middle of the growing season and time to harvest the kale. When I worked in public accounting we called tax season “harvest time!” I am happy to say this harvest is much more fun and healthier. We’ve been eating it every morning for quite some time. We have kept the kale from flowering by cutting the center stems. This also helped to make the plants bushier, with lots of tender, small leaves. With the summer solstice past us, it is time to plant the fall crop. We picked up several starts at the farmers market. 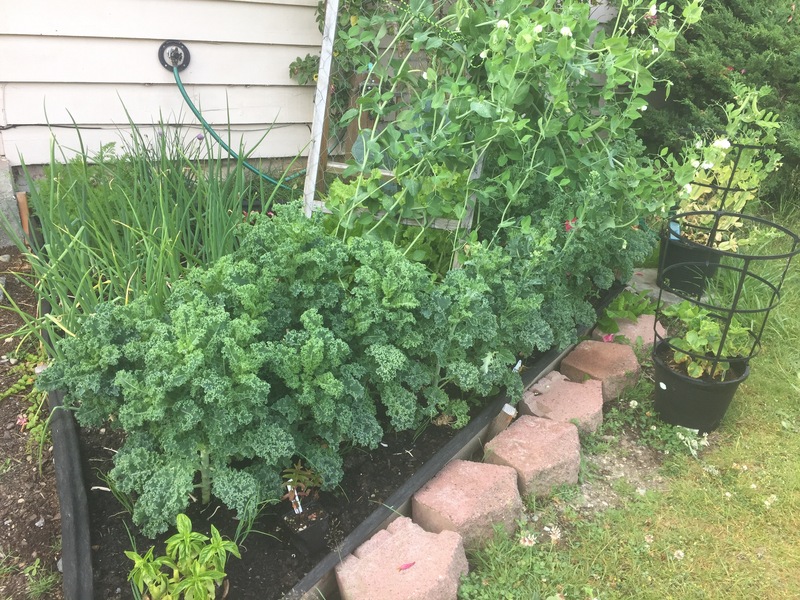 The mild weather in Western Washington allows two crops of kale per year or three if you use a cold frame. You can also start kale indoors but I didn’t want to this year because my sun lamp heats up my living space! So what am I going to do with all of the kale? I’ve seen two storage methods. I’m going to try them both! The first method seems pretty simple. 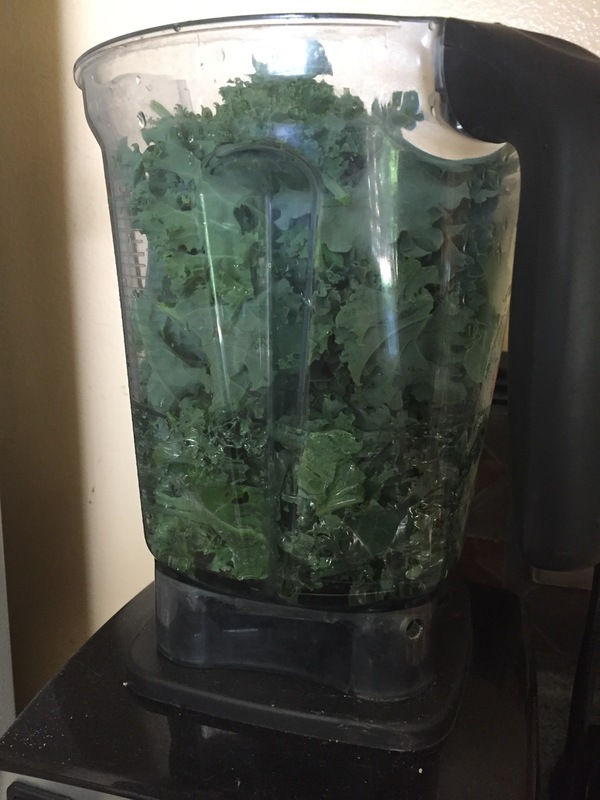 This method was shared to me by a friend who said she stores her kale this way. She said to wash the leaves, then tear the greens off the stems into small pieces. She recommends letting them dry on the counter and then freezing them on a cookie sheet. After they are frozen, store them in freezer zipper bag. The second method is to purée them in the blender. I saw this method online on a few different blogs. They suggested using water or coconut water in the blender to make a nice consistency. 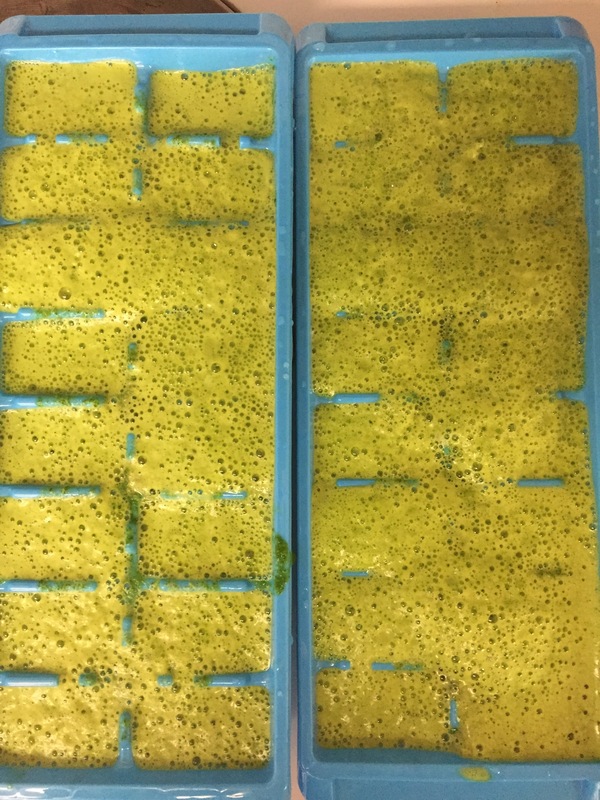 Once blended, the mix can be frozen in an ice cube tray or cupcake pans. When the mix is frozen, store in a zipper freezer bag. I started with one kale plant. I picked all the leaves. I removed the stems. I filled 3 cups of water in my blender. I could barely stuff all the leaves into the pitcher. I was worried the leaves wouldn’t all blend, but they did. The mix wasn’t very thick. I am going to try it with less water in the next batch. Theee cups of water and one kale plant equals two ice cube trays. I will use 3-4 of these ice cubes in my smoothie to replace two cups of fresh kale. 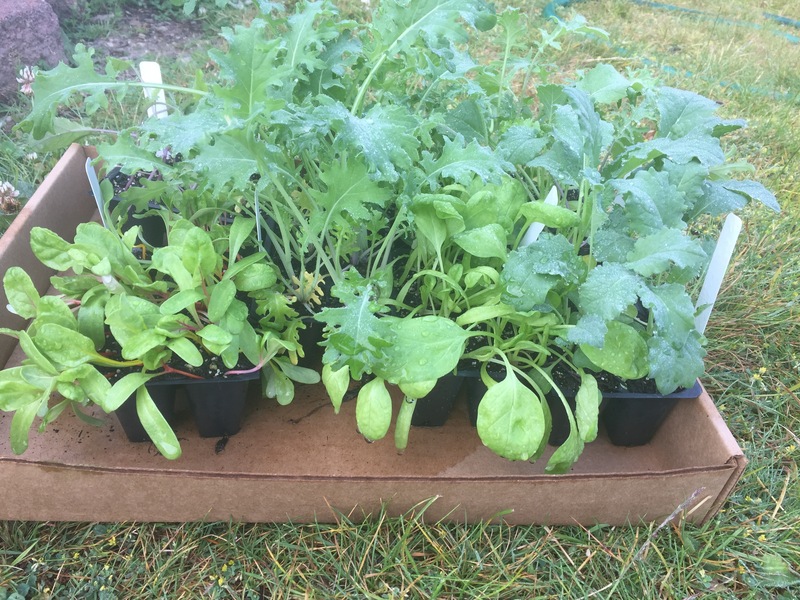 The ice cubes will be great for smoothie recipes and the ripped leaves will be good for smoothie recipes and veggie egg scrambles…my second favorite way to eat kale! This entry was posted in Garden, Green Smoothies, Healthy Lifestyle. Bookmark the permalink.